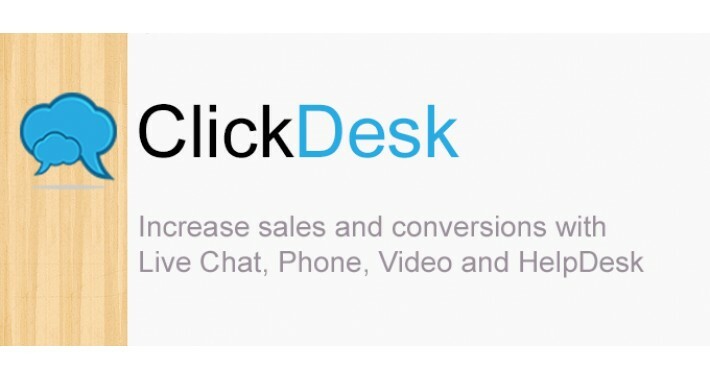 ClickDesk is the fastest live support service and provides a wonderful combo of lightning fast live chat, voice chat, help desk and social toolbar along with free local access numbers in 40 countries. Visitors click to call, live chat or leave an offline message from your Opencart online store. 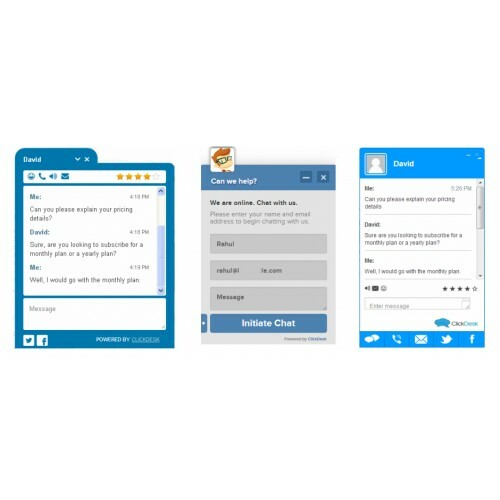 Operators chat conveniently chat from their Skype or Google Talk. 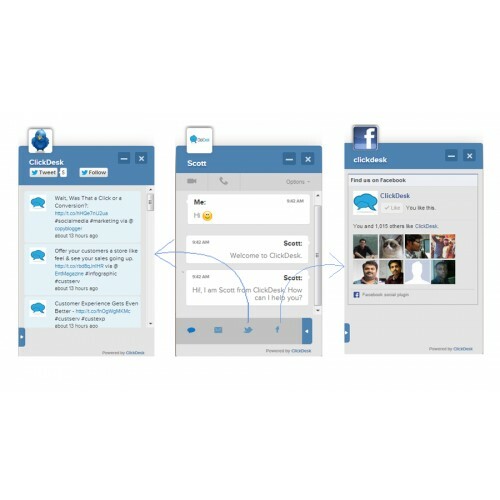 You can manage your emails & offline chats using the new built-in help desk tool. 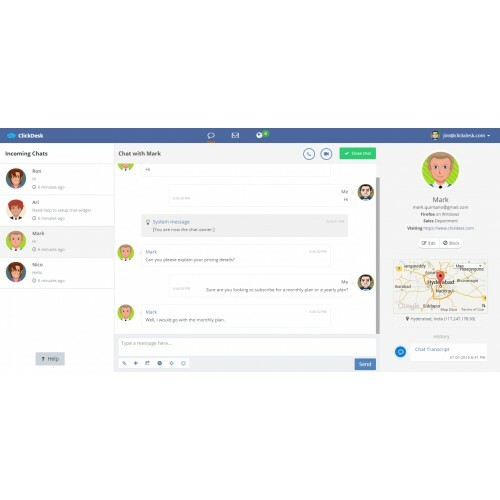 ClickDesk social plugin lets you embed 'Live Chat' button with online or offline contact us forms on your website to let your website visitors click and live chat or VoIP call you instantly. - No software to install. Cloud based service. 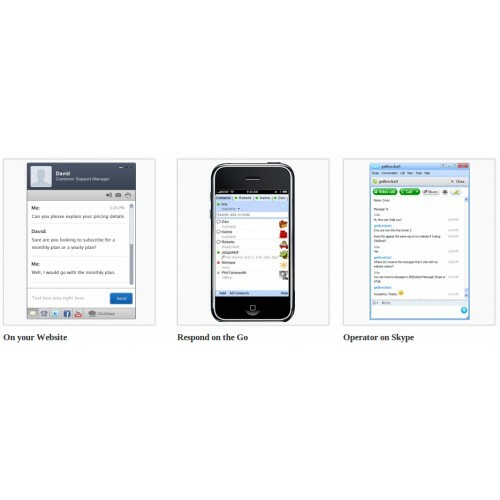 - Integrated help desk tool - Get ticket alerts on your Google talk or Skype. 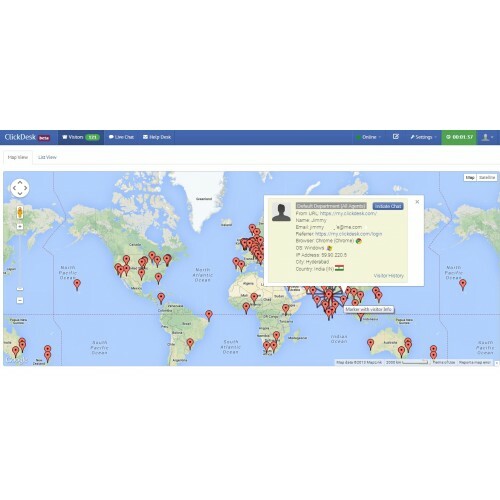 - Complete web visitor information like location, IP address etc. - [New Feature] Add more than one admins to your ClickDesk account with User Alias. 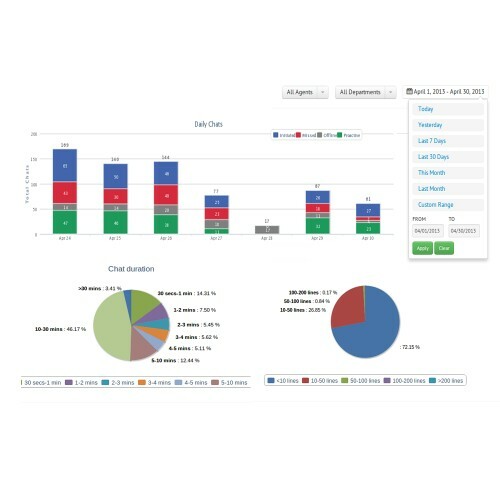 Install ClickDesk live chat & help desk software now and reduce shopping cart abandonment of your online store. ClickDesk's Opencart live chat module helps you receive chats and voice calls on your Google talk or Skype directly from your online shop visitors.